From Chocowinity take Rt# 33E to Clay Bottom School Rd. to Cotton Patch Rd. to Crisp landing Rd. It is good to have these bees around. This is what gives the farm and gardeners plentiful produce. 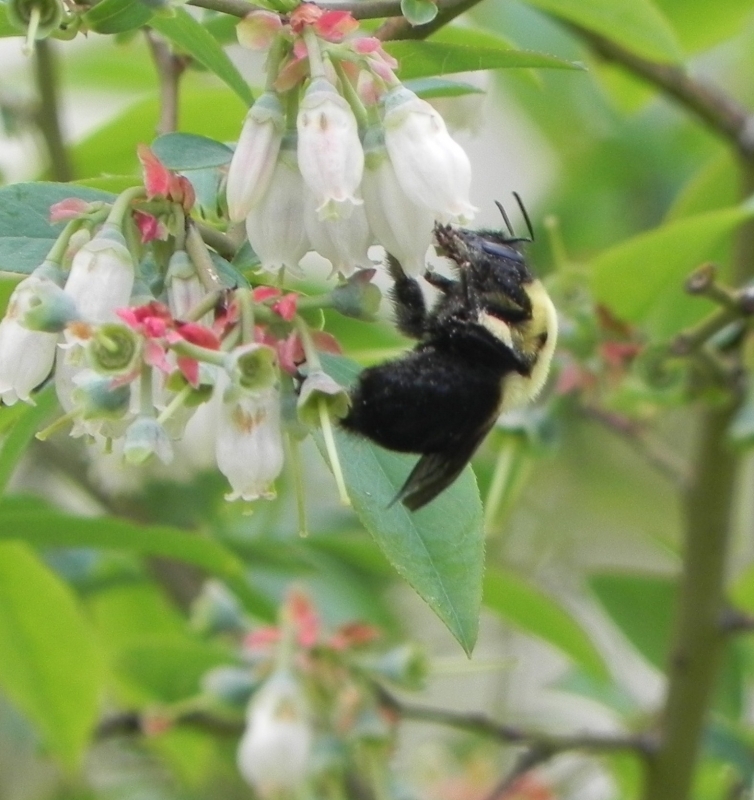 Pollinator Bee on Blueberry Blossoms.